Try as they might, entrepreneurs haven’t yet managed to figure out an ultra successful method for discovering, listening to, and sharing music — and it’s not for lack of effort. Music startup TastemakerX thinks it has an explanation for why this hasn’t happened: Music services all have a small piece of the puzzle, but none of them are willing to put those pieces together. TastemakerX has decided to refocus its efforts from delivering an independent solution to building a layer that sits on top of all music services and offers a more complete look at a person’s musical tastes. Previously, TastemakerX built a service that tried to get music enthusiasts (aka music snobs) to help guide people to the best artists and tracks through gamification (because music snobs are always trying to out-do each other when it comes to finding the latest music). But this method didn’t necessarily work because of all the different ways people were discovering and curating new songs. As for the new TastemakerX, it’s shifted to more of an infrastructure that allows music fans to direct each other towards the best places to play, discover, or share music on a variety of services. So you won’t be listening to music on TastemakerX, but instead you’ll be pointed toward other services such as Spotify, Rdio, Soundcloud, YouTube, iTunes, Songkick, Twitter, Instagram, and others. Essentially TastemakerX wants to play nice with other music services so people can get what they want. This seems like a pretty smart move for TastemakerX, mainly because it’s now able to eliminate the expensive cost of hosting and licensing a decently sized music library. This is also something that the once mega-hyped music service Turntable.fm recently had to address in order to stay alive. Yet, TastemakerX isn’t completely abandoning its roots as a way to collect music and offer some level of competition for the active music fans. The revamped service allows users to create “TastemakerX collections” that are made up of artists, music tracks, and social activity relevant to both of those things. A user’s “collection” will appear on their homepage and give a sense of their tastes in music. The content within those collections is regularly updated with links or widgets from other services. For example, you may have your favorite artist’s Instagram account along with a playlist you created and linked to from Spotify and tour information about all the bands you follow. Admittedly, I haven’t played with the new TastemakerX, so I can’t say whether this concept is something that has staying power. It does sound like a definitive step in the right direction though. 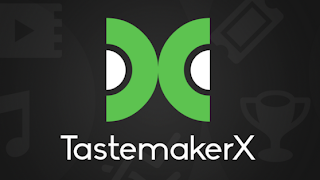 TastemakerX also has a purely music-focused collections feature that allows you to put together a group of tracks from a single artist or many artists. There are some restrictions, meaning you can’t simply add everything you like, which wouldn’t provide much help to people trying to discover a crop of good tracks without having to sift through all the crap. And finally, TastemakerX will be gathering data about both its users and the most popular artists to create a ranking feature. Those that make the top rankings will have their activity (users and artists) into a separate feed. 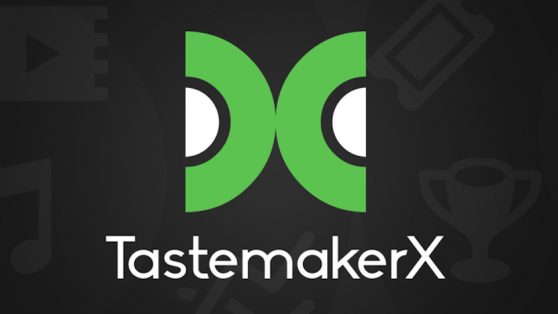 The revamped TastemakerX service launches today and is available for free. However, you may need a premium subscription to gain access to some music services. Founded in 2011, the San Francisco, Calif.-based startup has raised a total of $3.05 million in funding to date. Its advisers include John Battelle, Marc Geiger, Andrew Anker, Mich Mathews, Michael Kassan, Ian Rogers, Paul Bricault, Ted Rheingold, and Mike Lazerow.